Right, all you quartz snobs this is one is for the poor lil fishies, namely the sharks, our ocean’s majestic apex predators that are being cruelly and mercilessly hunted into extinction, so give it a fair go cos it’s actually a pretty cool watch and it’s for a great, no – desperate cause! Did you know that last year alone, almost a hundred million sharks were slaughtered? Sorry, you might not have heard that - ONE HUNDRED MILLION sharks killed for either food or their fins, or as by-product from other catches such as Tuna fishing. Of course sharks can instill fear in humans, they do munch the odd surfer or two, but for the most this is an irrational fear. 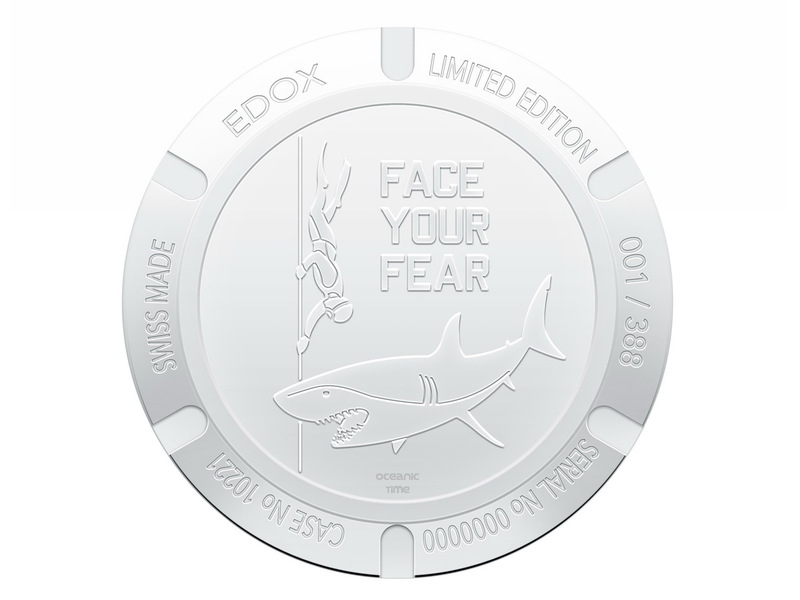 What we should be far more afraid of is the future of our oceans in particular sharks! World Champion freeform ice-diver and Austrian professional free-diver, Christian Redl AKA the ICEMAN is out to debunk the myths about a species that has survived on Earth for hundreds of millions of years. 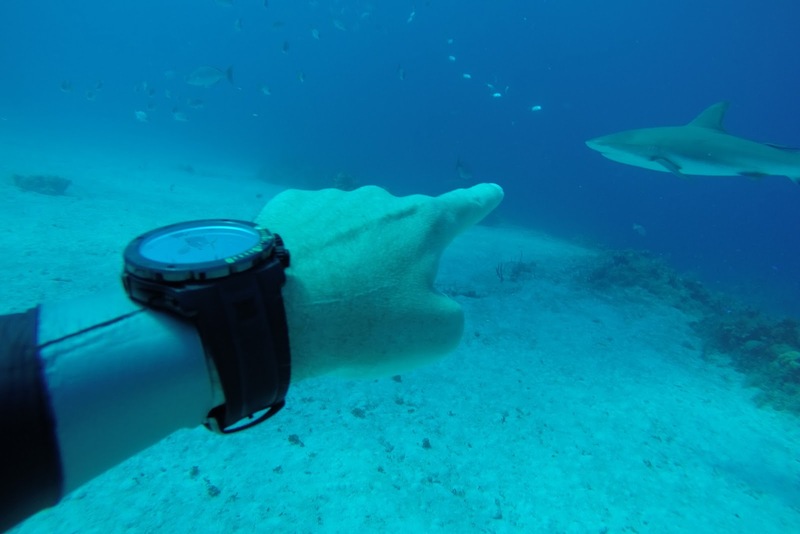 He is leading the fight to bring global attention to the plight of the shark. Christian will play a starring role in a new movie documentary to be released in 2017, Shark Rescue, which will aim to bust the myths about sharks and spell out what needs to be done to save them from their impending doom! 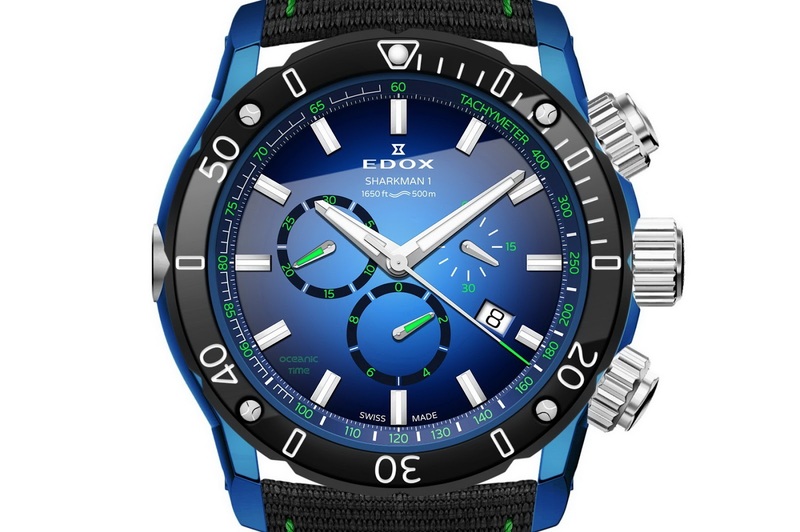 He will be proudly rocking his new Edox SharkMan Limited Edition on his wrist! 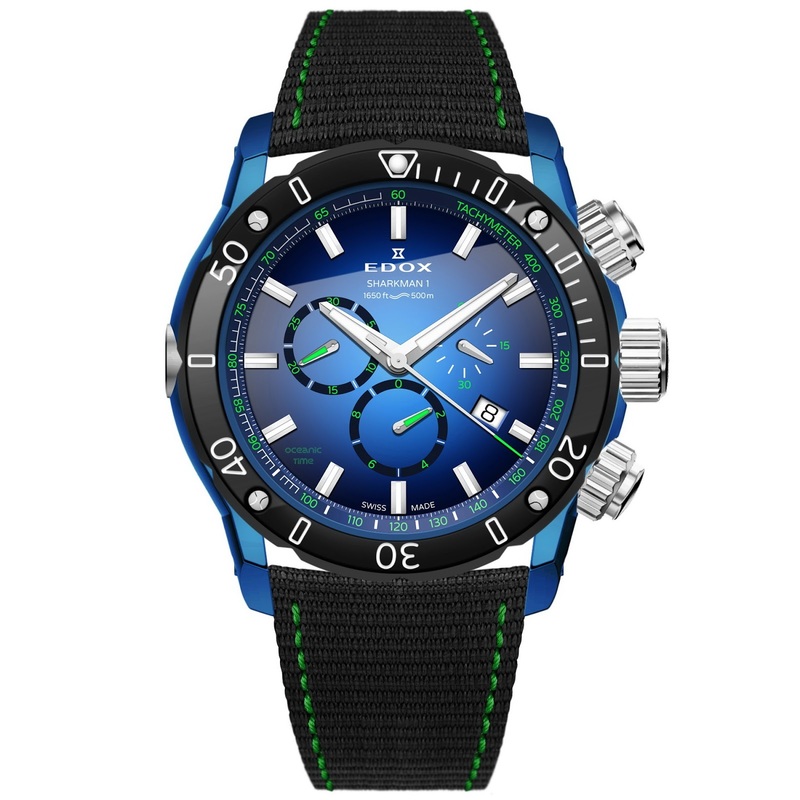 with: markers in sea-green, a chronograph, date display and a specially engraved shark motif case back. 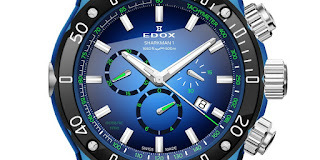 The Stainless steel watch case echoes that of the magnificent blue of the Caribbean Sea with a very special coating. 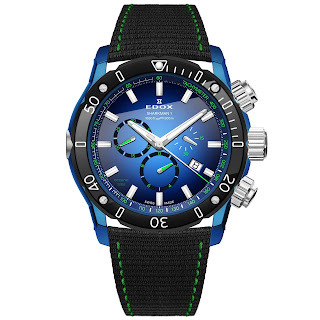 It comes in a distinctive box with a choice of water-resistant black rubber or nylon fabric strap and is the perfect. 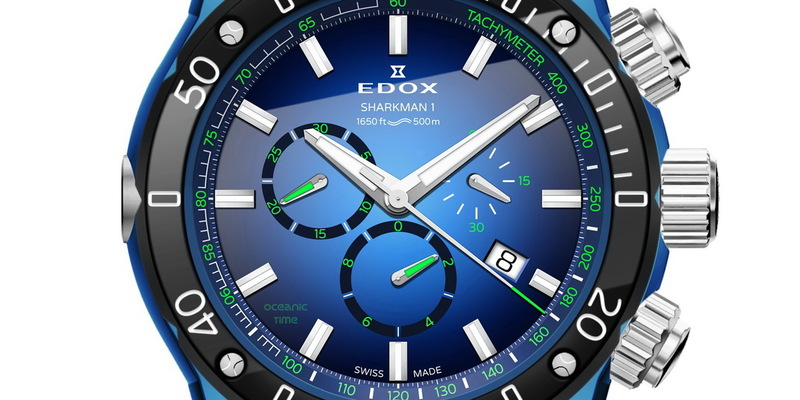 The SharkMan 1 Limited Edition will be available as from June/July 2016. 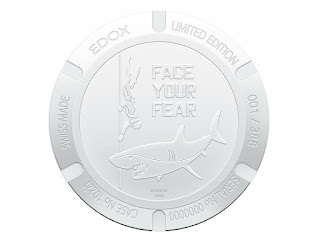 By wearing one, you have the opportunity to play a part in spreading the message to help save the shark from the planet’s deadliest predator – man! Not digging quartz? 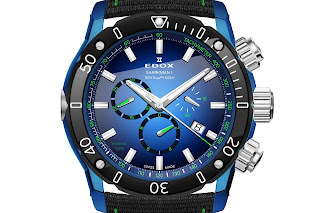 Check out EDOX’s proper and I mean proper diver, the HYDRO-SUB 50th Anniversary LE.